On Tuesday, Amazon announced that it made its first investment in Plant Prefab, a startup that creates and builds prefabricated single- and multifamily homes using sustainable materials. On its website, Plant Prefab claims it can build homes faster and with less waste than traditional construction methods. 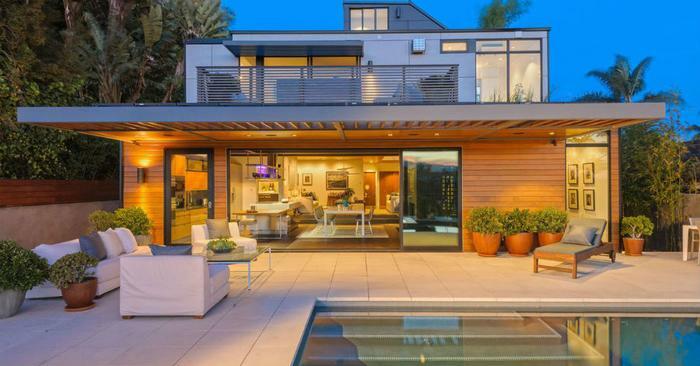 To date, the Rialto, California-based firm -- which raised $6.7 million in funding from Amazon’s Alexa Fund and Obvious Ventures -- has installed 26 units in California and Utah and undertaken a multifamily project in Berkeley. Plant Prefab is aiming to speed up the process of building a house, as well as drive down costs for consumers, through the use of automation, according to the company’s founder and CEO Steve Glenn. “In the housing-crunched major cities like Los Angeles, New York and San Francisco, along with areas like Silicon Valley, it takes too much time to build a home from groundbreaking to occupancy, and labor shortages, construction delays and increased construction costs are exacerbating this trend even further -- and making homes increasingly less affordable,” Glenn said in a statement. Alexa now powers 20,000 voice-activated, smart-home devices made by 3,500 different companies, Bernard noted. Investing in a homebuilding startup could be a way for Amazon to integrate Alexa in the construction of smart homes. Earlier this year, Lennar -- the nation’s largest homebuilder -- announced that it had reached a deal with Amazon to pre-install Alexa in all of its new homes. Amazon’s investment in Plant Prefab comes less than a week after it unveiled more than a dozen Alexa-powered smart home devices, including a voice-operated microwave oven and an amplifier that can be controlled by the Alexa voice assistant.